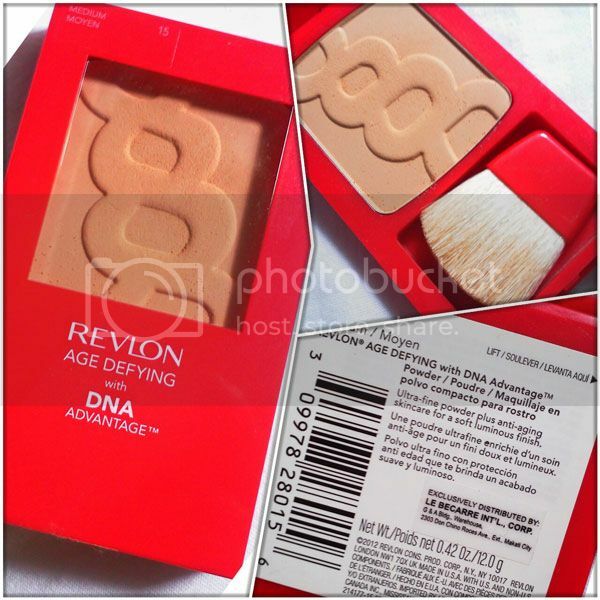 So this not-so-feminist just indulged herself to buying an eight hundred and plus pesos cake of mixed chemicals said to be fit for woman consumption, it’s called Revlon Age Defying with DNA Advantage, the lady, whose face plastered thickly with make-up at the counter was so good at explaining the merchandise facts of this product, so good that a woman so prejudice with face 'coloretes' and all didn't hesitate to empty her pocket. First of all this red rectangle-cased powder looks so good on picture. Second, it's dang so great on a 40 year old and something face skin, it live up to it's promise of smooth, fine and silky finish - just don't hang yourself around too balmy places. Third, I actually don't like the idea that it comes with a brush, though technically, the brush is good for even distribution of powder on your face, it leaves soft crumbs around the case making it a little messy and blowing it before tucking is what I find it not favorable, but you always have the option to use a sponge. Fourth, the age defying thing there is actually a tricky promise ... this won't help defy your age, believe me, you'll accumulate it as you go along, it can't be covered, and only you woman and your life's disposition can defy it..